There are probably several complex factors that can throw light on the causes of the riots. This is the second of four articles looking at different aspects of the problem. Is the shocking behaviour a symptom of permissive parenting? 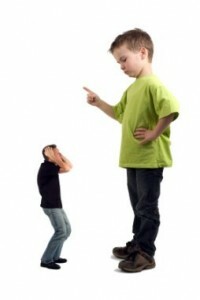 We tend to still assume that the role of a parent is to supervise children and teach them right and wrong. But to what extent is this still happening? Posted on 18th August 2011 Author editor18Categories Human nature, Meaning of life, UncategorizedTags absent fathers, black families, cause of the riots, film censorship, hate-filled fantasy, horrible behaviour, incomplete parenting, lone parent, meaning of life, media violence, moral deficit, moral development, moral principles, permissive parenting, permissive society, sexual extortion, video nasties, working mothersLeave a comment on Permissive parenting – what does it mean?